Never before in NCAA Tournament Basketball history as a #16 seed beaten a # 1 seed. That is, not until tonight, Sat. March 16, 2018 when the sixteenth seeded UMBC [University of Maryland, Baltimore County] Retrievers defeated the top seed in the tournament, the Virginia Cavaliers. And it was no fluke as UMBC blew out the Cavaliers, 74 - 54. 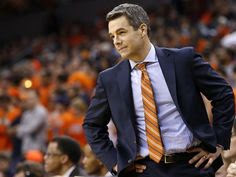 I have always liked the VA head coach, Tony Bennett, and thought he always showed class and it was really exemplified tonight in his remarks to Tracy Wolfson after his team lost in such an historic fashion. Coach Bennett not only makes no excuses and gives total credit to the winning Retrievers, but he gave a life lesson for not just his team, but for all to hear. This was total class by a classy man. I think that despite the loss, the Virginia Cavaliers are lucky to have such a classy coach.